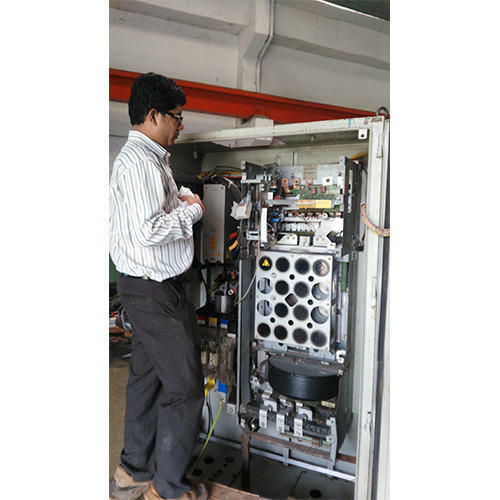 Leveraging on the competence and experience of our capable workforce, we are immersed in the sphere of offering Siemens Drive Repairing Service. WeServ E Elektronics Established in the year 2014 is one of the leading service provider and exporters of HMI Repairing Service, Module Repairing Service, Soft Starter Repairing Service, Card Repairing Service and much more. We believe in saving time and money of our clients. We have established bench mark in providing total industrial solutions at one stop in all direction i.e. servicing, repairing and project management with precise results. We have in-depth knowledge accumulated through vast experience gained from the wide range of industries, automation world, with in - house service, repairing, support, and ability to conceptualize and implement engineering solutions at each bit of your machine needs.